Springtime is science fair season. Thousands of kids across the country, from elementary through high school, spend weeks or months coaxing seedlings to grow, building devices to harness solar energy and carefully mixing acids and bases. Often, as was certainly the case for me as an eighth grader in suburban Pennsylvania, the result is an all-hands-on-deck enterprise. Parents regularly join in the effort, helping students design their experiments and test their results — not to mention ferrying them back and forth from stores to pick up supplies. For many, the task is stressful, but also formative. My science fair project, which involved investigating how compressing insulation affects its ability to block heat, was hardly glamorous but it was far and away the most memorable experiment of my first 13 years of school. As educational opportunities, science fairs let students tackle the scientific method hands on. Classically that process begins with identifying a question, developing a hypothesis to answer it and then devising an experiment to test that hunch. In principle, kids who participate will not only learn about science but may be inspired to join the next generation of scientists and engineers. But the fairs also have problems. For starters, there’s a growing sense among some scientists and educators that many science fairs aren’t actually very good at teaching kids about, well, science. The field of science is ever changing and advancing, but the fair sticks to fairly rigid, traditional rules. Real scientific research can be observational, collaborative and creative — approaches that are sometimes verboten to science fair participants. For example, students often have to design experiments that involve manipulating a situation in some way, whereas many actual scientists, such as primatologists and astronomers, simply study their subjects over time, looking for patterns in that data. And too often the fair is a burden on families and teachers. Jackie DeLisi, a research scientist at the Education Development Center, a Massachusetts nonprofit, has found that schools and families invest a lot of time and money in these fairs; teachers may spend as much as six weeks of class time preparing for them. Furthermore, if the fair becomes a contest between kids with financial resources and plenty of parental help, and students without access to fancy supplies or a grown-up’s guidance, it’s worth asking whether science fairs are fair. The good news is that some schools are conducting truly radical experiments on the science fair itself. 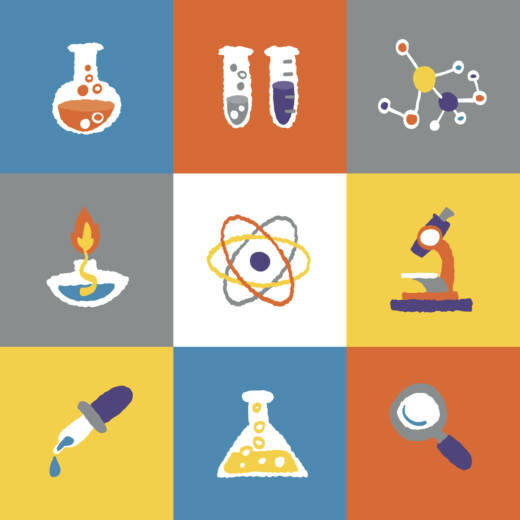 Among the most intriguing: taking the competition out of science fairs. Under this model, students are evaluated based on their mastery of the scientific method rather than being pitted against one another. And, argues bioethicist Frederick Grinnell of the University of Texas Southwestern Medical Center, the shift might enhance a student’s mastery and enjoyment of science. In a study published last year, Grinnell surveyed 302 students (from high school through graduate school) about their experience with science fairs. As part of his analysis, he uncovered that while the students generally enjoyed participating in science fairs, they didn’t care for the competition. “None of the kids like requiring the competitive science fair,” he said. Grinnell even suspects that competitive science fairs might hinder learning — and there’s some research to back him up. For three decades, researchers have been scrutinizing how competition motivates student behavior. Experiments by Carol Dweck in 2003, then a professor of psychology at Columbia University, suggest that students who are driven to learn for its own sake or for personal growth tend to stick to their studies longer than their highly competitive peers. People who want to outperform others, it turns out, get an emotional boost when they succeed, but any negative feedback stymies their interest in a subject. Individuals who value learning seem to be more resilient, persisting despite failures. Another downside to competition? It’s distracting. In a pair of studies from 2015 and 2016, Rutgers University psychologists found that competition can harm how well our memories perform. Using neuroimaging, the researchers discovered that when people in the study were told how they were doing on memory exercises relative to other participants, areas of the brain typically associated with how we think about ourselves fired up while actual memory performance weakened. “Participants are so worried about focusing on how the other person is doing they’re not adequately learning,” said Brynne DiMenichi, a research fellow and an author of both papers. Yet competition has its uses. It is a powerful motivator, one that many people enjoy, and, as Dweck, now at Stanford University, points out, learning how to win or lose is valuable. “It’s too extreme to say competition is never good because it also could imply we shouldn’t hold children to standards,” she said. The best approach, argues Dweck, foregrounds the goals of learning and mastery. To do that, she says, science fair judges would evaluate student projects based on the scientific process behind them rather than the flashy final product or spectacular results. Careful interviews with each child, she says, would push students to reflect on scientific inquiry itself. By this logic, a very simple study or an experiment with negative results could still be a winner. The model she describes resembles the “Standards-Based Science Fair,” developed by Peter Rillero, a professor of science education at Arizona State University in Phoenix. Judges evaluate budding scientists not against each other but based on their performance in certain categories: how well they form a hypothesis, for example, or analyze their data. Grinnell says this approach is now used by many schools that forgo competitive science fairs. Students who do want to push onward to district- or state-level competitions could still “opt in” to that experience, he notes. Making science fairs noncompetitive is just one possible tweak on the classic model, but it’s a reminder that the science fair needs to be flexible to serve diverse communities. In one school DeLisi studied, for example, instructors decided to make the fair an entirely in-class project, thereby leveling the playing field for students from families with limited means. Other schools de-emphasize the scientific method entirely. They may instead prioritize students’ project management skills or focus on making science more interesting to kids by, for instance, inviting scientists discuss their work. “Ultimately the schools need to figure out what they want their students to get out of the experience and how to structure the fair and invest resources to achieve those goals,” DeLisi said. That process may take some trial and error — but that, too, is in the spirit of the scientific method.